Some years ago 37197 was active on diesel gala, railtour and charter usage, firstly for Riley & Sons (Bury) and then in 2004-5 for West Coast Railway Company. 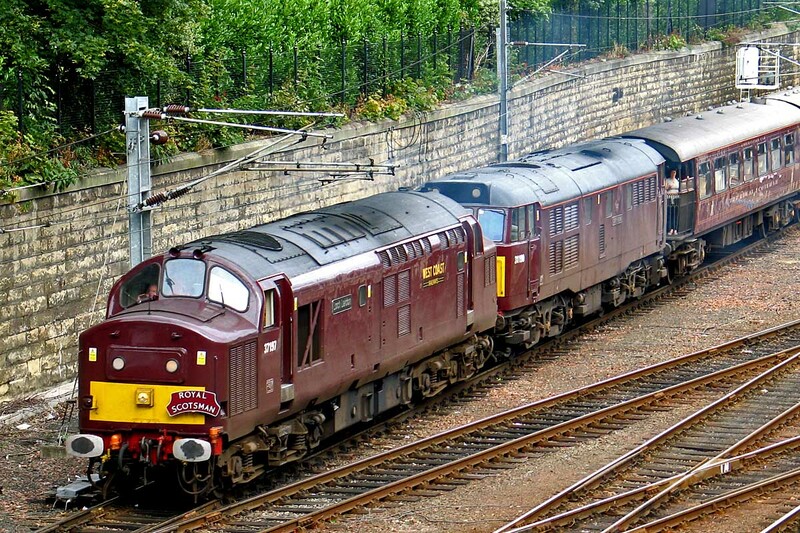 After usage on the Royal Scotsman in 2005, when it ran as Loch Laidon, the locomotive was aligned with DRS and prepared in their basic blue paint at Barrow Hill, with time also spent in 2009 at Brush, Loughbourough. 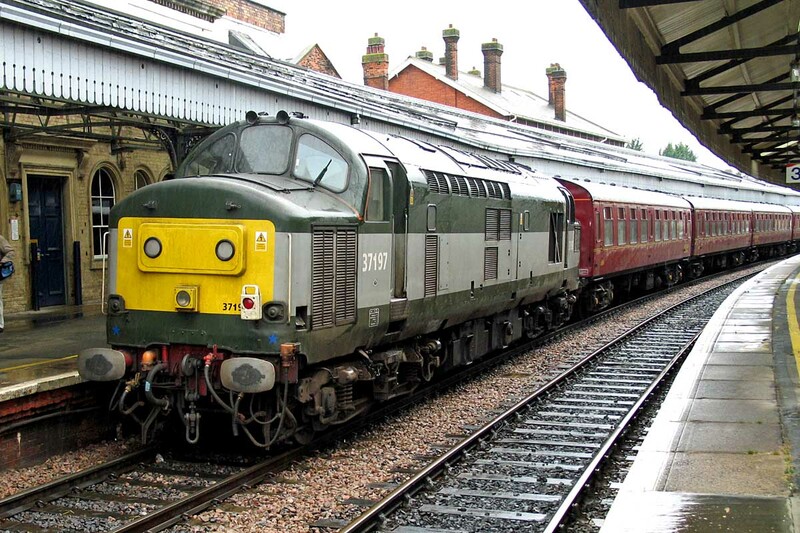 However with focus from DRS moving to Class 37/4, the power unit was removed to a 37/4 and the shell of the locomotive was moved on 30th May from Barrow Hill to EMR Kingsbury where it has already been broken up. The locomotive was new to 87E (Landore) as D6897 from Robert Stephenson & Hawthorns, Darlington in April 1964. 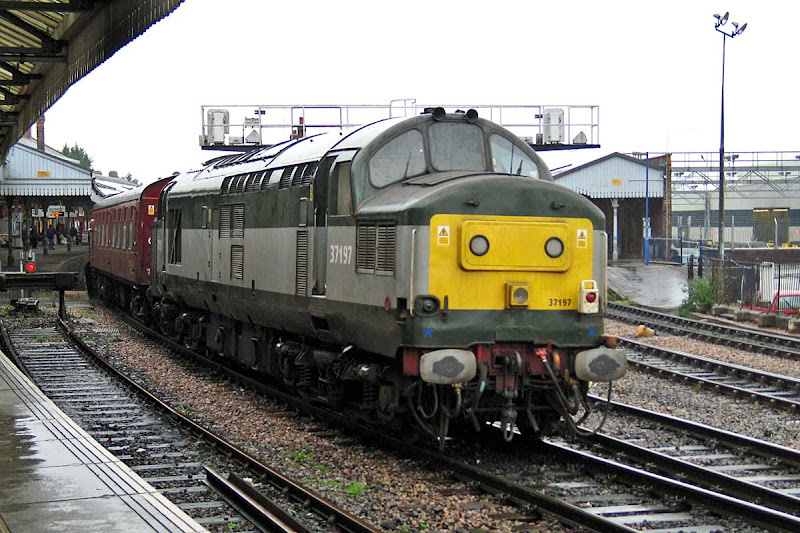 37197 on the rear of 1Z47 06.30 Wakefield Kirkgate – Salisbury, arriving at Salisbury in the rain, 23rd October 2004. 57601 was the train locomotive, 37197 being used to reverse and turn the train at Salisbury. 37197 leads the stock back into the station. 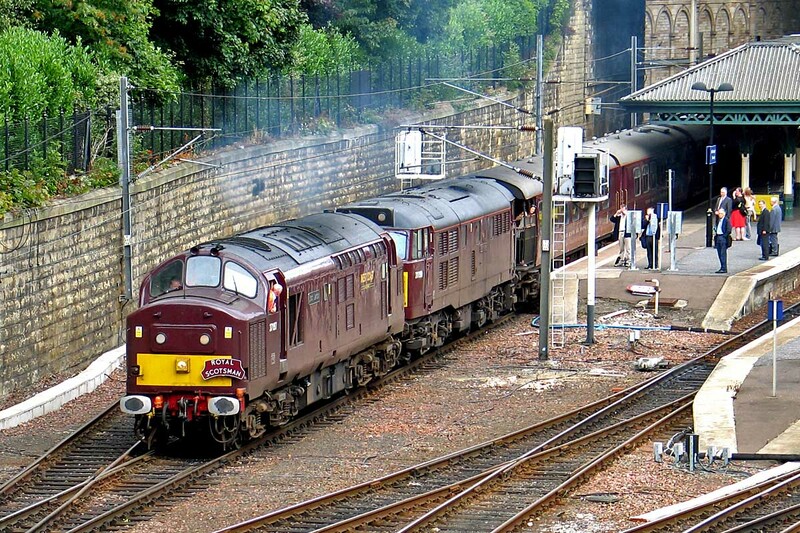 In 2005 West Coast Railway company repainted the locomotive to match the Royal Scotsman, seen here leaving Edinburgh on 30th August with 31190 (reportedly DIT). 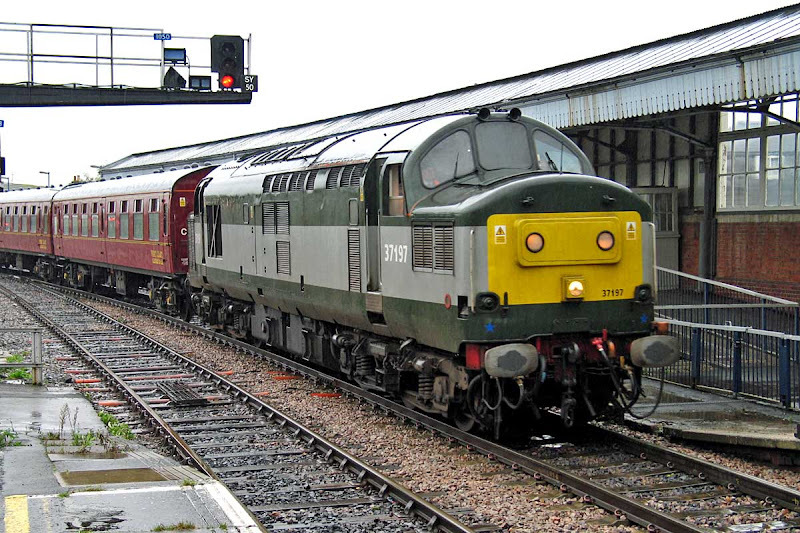 The locomotive last worked from Carlisle to Oban and return on 8th October 2005, some six weeks after this image.